Regular classes are set aside for the last two weeks of each semester so that students can pursue ColLABs of their choosing - all of which emphasize fundamental skills and habits central to The Winchendon School: character, collaboration, resilience, resourcefulness, and adaptability, just to name a few. Risk-taking is encouraged, and the design process and experience are often as important as the actual ColLAB itself. Immersive learning through ColLABorative studies at The Winchendon School means our students have achieved subject mastery and personal growth through our experience-based learning. This can look different for different students. For some students, it may look like an internship at a non-profit learning how to fundraise, while for another student it may be writing a research paper on The Detection Mechanism of Gravitational Waves Emitted from a Type 1A Supernovae. ColLABs end with a symposium giving the students an opportunity to share their knowledge and research with an appreciative audience. In short, ColLAB Symposium is the centerpiece of our commitment to immersive education. A sample of ColLABs offered for Spring 2019. What makes the United States the nation it is today? Were politics always so polarizing? How and why has Alexander Hamilton and the other founders’ “Grand Experiment” changed since the nation’s founding? This ColLAB will seek to understand the history and politics of the United States in all its complicated glory! Students will travel down to Washington DC to experience the US capitol and seat of power, as well as into more localized state houses to see how smaller scale government works. Numerous historical sites will be on the list of sites to visit, and students will seek to find common ground between the past and present, seemingly disparate political stances, and any other divide they see in the nation. What are the root causes of addiction? Is addiction genetic/hereditary? How does addiction affect one’s mind and body? Is addiction physical or psychological? How does it manifest itself? Who is susceptible? What does addiction cost? How is addiction treated? What percentage of American high school students are addicted to some sort of drug? What is the most common? How does addiction affect me? What do I do if I have a friend whom I believe is addicted? How does addiction impact society? What does an adolescent’s addicted life look like? By tackling these difficult questions, students will have a better handle on the public health crisis that is addiction. This ColLAB will research and thoroughly investigate several of America’s cold cases, murder mysteries, bizarre phenomena, conspiracy theories, UFOS, cold cases, and much more! Each meeting, the class will be presented with a new cold case/murder mystery. Students (in teams) will construct crime scenes of their own for others to solve, as well as chat with local detectives to learn the science behind the science of interrogation and tactics used to solve crimes. Students will be given certain details of the case(s), and then prompted to theorize on what may have transpired. Each member of the ColLAB will keep a Detective Journal replete with reflections, field notes, debriefs, theories and answers to questions. The group will watch videos and read supporting articles on the cases. The theories will be made by students individually and in groups, both verbally and through written exercises. With all cases, someone knows something and the truth is out there! This ColLAB will give students a knowledge of how detectives work to solve cases; and in turn, they will get to “play” detective as we explore various unsolved cases from over the years. This ColLAB is for the adventurous and hearty few who want to take on the birds of the East Coast. We will be traveling from Maine to Florida birding all along the way. Our goal is to see over 200 bird species within the two weeks of field study. (That is >15 new bird species a day!) We will stay in camps, tents, cabins and in campgrounds during these two weeks. We will see some of the most beautiful wildlife along the way and will spy places rarely traveled by the masses. Students will not only see birds but all kinds of animals during their stay including; whales, turtles, seals, bats and deer, and far more. Students will keep track of their sightings electronically, and they will chronicle their stories in a journal of their own. We will be stopping at a variety of famous parks and doing our best to take advantage of alternative forms of transportation including boats, kayaks, bikes, buses, and trains. So, if you enjoy the thrill of nature, have a soft spot for birds, or want to try camping and living on the ultimate road trip, join our trip. Let’s build a boat! We’ll start by learning about how boats (canoes, specifically) are designed. How does the shape of the hull affect the boat's behavior on the water? What are the different components of a canoe and what are they for? What materials are used and what construction methods are available? From there, we’ll design our own canoe and make a plan for building it. By the time the ColLAB is in full swing, we’ll be heads-down using all manner of tools to build our canoe. The ColLAB will culminate in an emotionally intense, but physically leisurely paddling of Miller’s River in our new creation! In this ColLAB, students will learn about the psychology of why people laugh. Using personal experience, studying professional comedians, and the science behind what happens when we laugh, students in the Comic Relief ColLAB will able to improve their comedy ability and their understanding of why humor is so important to the human experience. … then this ColLAB is for you! Students will learn to edit in a ddigital-focusedcreation space in which they will tell a story that speaks to them. Each student will work to curate footage throughout the spring and will spend the duration of the two week ColLAB period editing their projects. The focus is on storytelling and on how every cut is a sentence in disguise. Different editing systems will also be discussed and tried. Additionally, students will be given the opportunity to get into some basic animations as a part of this storytelling process. Are you interested in music? Art? Crafting? History? You may have seen African Drumming in a movie, on TV, or perhaps you were fortunate enough to see a live performance. One can make a beat out of just about anything, hand clapping, foot stomping, a pen on a table, your hands on a hard surface. Drumming has a vital role in West African culture. Let’s look at the role and purpose of drumming in West African communities. How has that role evolved in African communities of the past and present? Is there a connection between African drumming and the drumming of black people brought to the Americas and Caribbean during the time of slavery? How has that connection evolved? What is the correlation in materials used to create drums and the geographical location of where it is made? If you are intrigued, then let’s explore the musical culture of African drumming and create our own! Let’s see where the beat leads us. Students will learn and work side by side with local communities in Winchendon and then globally in the Dominican Republic for 10 days to develop critical understandings of sustainability on a personal, local, and global context. Students will then travel to the Dominican Republic to live immersed in a rural community. Working with the non-profit organization, Bridges to Community, they will support local leaders and citizens to complete community projects. Students will develop relationships and dialogue with local leaders and constituents from Winchendon and the Dominican Republic and take concrete actions to affect sustainability in their own lives and the world. This will be the third annual Winchendon School trip to the Dominican Republic! This ColLAB is meant to be a true exchange with a French lycée. Students attending this ColLAB will be hosted by French students and their families. While in France, students will be attending classes in the morning and participating in school activities, which include a community service program. Also included in the exchange program with the lycée, students will spend several days in Paris studying language, history, and culture. Golf is a sport that can be played well into your twilight years. It's been a part of business deals in America for decades and in a 2016 study, golf in America was found to directly drive 84.1 Billion dollars of economic activity annually. In this ColLab, our goal is first and foremost to play and find joy in the game of golf. We will focus on the rules, etiquette, and the mental side of the game. Besides the joy of playing, we will explore topics such as the environmental impact of golf courses, golf course maintenance, the decline of the American golfer, the business side of golf, golf course design, and the history of racism, classism, and sexism in golf. Our text for this ColLab will be: Golf is Not a Game of Perfect by Bob Rotella and Tiger Woods by James Benedict. This ColLab is intended for the intermediate golfer. We will be playing a number of different courses that will not be suitable for the beginner. Students must have their own set of golf clubs. This ColLAB explores the culture and history of those who protested wars and sought to create change to the world through what many call “good trouble.” Though the agenda will ultimately be student-driven, options can include reading novels and monographs about resistance, listening to music, studying protests, and visiting sites. The field weeks will see us travel to major protest site and, quite notably, the Guthrie Center in Stockbridge, MA. Celebrating the Asian Heritage Month of May, students in this ColLAB will conduct in-depth research, interview Asian-American immigrants, and write their own review of the Hollywood hit Crazy Rich Asians. We will also visit several cities such as Boston and New York, and explore the differences that exist within the Asian-American culture. From this dive into the Asian-American immigrant’s experiences, students will be able to further extrapolate about other immigrants’ experiences, looking into the difficulties and joys of immigration to the USA and the general drive for assimilation after. This class will tackle some of the biggest mysteries of literature with computers. We will learn how to digitize a text and how to approach books like a detective to find clues and explanations between the lines. We will dive into the field of “Digital Humanities” and learn what is being done in the field and what types of new ideas are being discovered all the time. With digital humanities, we can take a text that has been looked at for hundreds or thousands of years and find new insights, from Chaucer to Lord of the Rings to the Hunger Games. Students will look at the statistics of words and how computers can help us look at data from different books and poems. We’ll learn about where books came from in the first place, and students can investigate all of this further with the effects of digitizing in different languages. Students will have the opportunity to create their own research projects and to make digital art with their own writing or with a previously existing piece. They will interview experts in the field of digital Humanities and will get to focus on their areas of interest. Lab Fee: A required gear list will be provided to students. How do humans interact with nature responsibly? How can one experience the environment without leaving an impact? How do people survive on long hikes and in extreme conditions? This ColLAB will seek to address these questions and many, many more by going on an extended hike through the forests of New England. Students will learn basic wilderness preparedness, ethical relations to the environment, the importance of preserving ecosystems, proper sustainability practices, and just how fragile nature is, all while eating, sleeping, and hiking. This ColLAB is an opportunity for students to experience the excitement, challenge and beauty of the wilderness. The conditions they will face present endless opportunities for personal growth and learning. In the wilderness, students will be confronted with adversity unlike any they experience in their daily lives. If the participants can persevere and adapt to the challenges of the wild they will be rewarded with incredible beauty, a feeling of freedom and respect for nature they have never had before. In this ColLAB, students will learn to write their own musicals. They will learn form, structure, and content of musical theatre and will get an overview of the history of musical theatre before diving into writing their own work. The process will include writing songs, writing scenes, and collaboration with classmates to put together an original new musical. Green thumbs wanted! Students will learn the differences between industrial and sustainable agriculture, the benefits of local, sustainable agriculture, and will learn and practice techniques associated with sustainable farming in our region. They will engage their brains through contemporary literature on sustainability and get their hands dirty planting food, and cooking with locally produced ingredients. A large part of this ColLAB will revolve in helping move the greenhouse project on campus forward, assisting in building, maintaining, planting, tending, and cultivating the produce that will be grown there in support of our local community! This ColLab will explore many different types of journalism. Students will be able to explore the subjects they are interested in, be it sports, politics, fashion, technology, or anything else., on a local or national level. In addition, students will strive to consume media critically. We will look at different cable news media outlets (Fox News, CNN, MSNBC), as well as different print publications (New York Times, Washington Post), to identify bias. A lot of media today is also presented to us via blogs and websites like Twitter and Facebook. We will discuss the threat of “Fake News” that is ever present in our daily lives. Finally, we will explore investigative journalism, as is displayed in the movie Spotlight. To work towards a final project, students will seek to come together to create a school newspaper or magazine, or, for those seeking newscaster stardom, we can tell our stories in front of a camera in the form of newscasts. Push yourself mentally, physically and emotionally. In this Collab, you will help build a house for a local family, work together to live as a group off campus, and walk in the shoes of our fellow citizens who for many, the struggle to make ends meet is very real. This Collab will mirror the immersive experience of other Collabs such as Nicaragua, Houston, Puerto Rico and the Dominican Republic, except we will be right here in Massachusetts! We will partner with organizations such as Habitat for Humanity, the Spanish American Center, & the Winchendon CAC to do service. Through real world experiences and discussion with local leaders, we will take a deep dive into issues of social justice and environmental sustainability. You will work hard, be challenged in ways you didn't know were possible, and have the time of your life in the process. From the Ancient Greeks battling as a part of the 23rd Olympiad to Muhammad Ali’s hugely prominent role in the American Civil Rights Movement, boxing has proven itself time and time again as one of the oldest, most popular and most culturally significant forms of physical competition in human history. While the entertainment value of boxing can be viewed subjectively, the importance of the human element associated with it is undeniable. Hidden behind legendary matchups in the ring are tales of heroes and villains, mobsters and crooks, championship contenders, journalists, and soldiers. During this ColLAB, using the sport of boxing as a lens, we will use a variety of media sources and combine them with real-world experiences in our local area to discover the often overlooked cultural, financial and historical impact of some of the most compelling athletes in American sports. “The fire off fencing. The lightness of the pen. The flash of the arrow. Freedoms is born out of form and function. “I went to the woods because I wished to live deliberately, to front only the essential facts of life, and see if I could not learn what it had to teach, and not, when I came to die, discover that I had not lived.” Henry David Thoreau walked into the woods of Massachusetts in order to find out more about himself and the world. In this ColLAB, students will do the same, but with a twist--they will learn to fly fish! This course will head into the great outdoors and teach the basics of fly fishing while interspersing the Romantic New England tradition of walking away from the trappings of modern society and going out into the wilds to encounter the intrinsic good and truth that can be found in nature. Independent Projects are largely self-directed opportunities for students to design and execute projects in the areas and subjects that they are most interested in and passionate about. Prior to the ColLABorative term that takes place at the end of each semester (when students will be wholly immersed in their project), scholars work with a team of peers and a faculty advisor that all participate in an Independent Project Incubator to prepare and bring their projects to life. The Independent Project Incubators serve as labs for students to work with peers and faculty advisors to develop, design, refine, and execute unique and self directed projects that will take place during the winter and spring ColLAB terms. Independent Projects are generally grouped in five categories-- Entrepreneurship/Business, Arts, STEM, Service, Humanities/Social Sciences--so that students working on similar projects can collaborate with one another and with the support of faculty mentors knowledgeable in that field. Independent Project Incubators require submission of formal application and faculty approval. Interested in studying economics, finance, marketing, or sales, learning about startups, or even starting a small business with a group of friends? The Entrepreneurship and Business Project Incubator is a great place to begin. In this Independent Project Incubator, students work with small teams and faculty advisors to develop their own unique projects related to business and entrepreneurship. In the age of design, an Arts education is considered ever more important for a great variety of careers. In the Arts Project Incubator, students are empowered to work in teams and with faculty advisors to develop independent projects related to their own interests in music, visual, or performing arts. Past Arts Independent Projects have included digital photography, fashion design, art history, music production, web design, filmmaking, and graffiti art. This Incubator is an opportunity for students with an interest in or passion for the arts to design and pursue their own powerful and unique projects in creative fields. Awesome opportunities for field projects in STEM all around, and the STEM Project Incubator serves as a turbine to generate independent and small group projects in the sciences. Past STEM-related independent projects have included architecture, engineering, nutrition, animal rescue and marine biology, nursing, athletic training, farming, outdoor education, fitness and physiology, robotics, computer programming, and learning CAD. As service learning and good citizenship are central to a Winchendon School education, the ColLAB project term can serve as powerful opportunity for individual and small teams of students to design and execute immersive service projects in our local community. 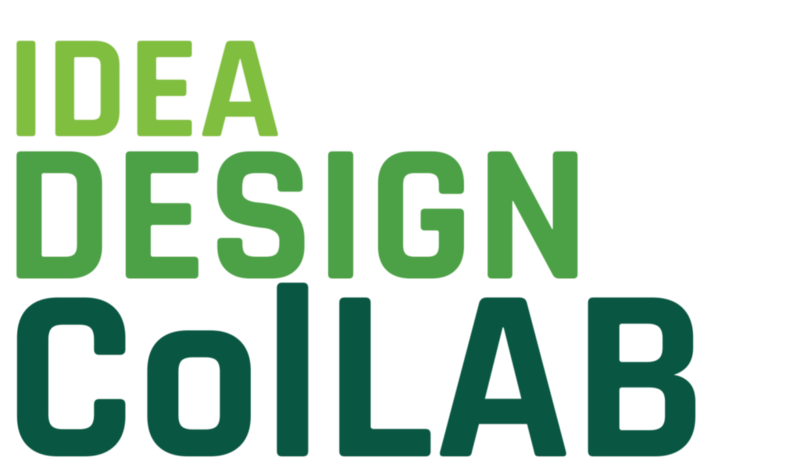 Students interested in developing service related independent projects can enroll in this incubator to design and pursue unique projects with faculty and peer support. Past projects have included staging a service learning conference, organizing a community youth hockey clinic, raising money and creating awareness for animal rights groups, and work with nonprofit organizations focused on human rights. Understanding the world at large is all but impossible without a strong foundation in the Humanities and Social Sciences. The Humanities and Social Sciences Project Incubator allow students who are passionate about languages, the law, politics, literature, and myriad other hyper-relevant topics to immerse themselves in these studies. Past projects have included case studies in Economics and Hyperinflation, Chinese Language Studies, Psychology and Mental Health, Anthropological Case Studies, French Politics and Language, and International Development and Poverty. Internships are driven by student interest and present an opportunity for scholars to immerse themselves in real world professions. Prior to their internships, students work with peers pursuing similar internships and a faculty advisor to develop a strong foundation in the field that they will be immersing themselves in, so as to better understand and capitalize on the upcoming experience. Additionally, several other requirements must be met in order to successfully apply for an internship. Internships require submission of formal application and faculty approval. Are you ready for a transformative learning experience?